Loud. Powerful. Brute strength. For the 2018 season, we're here to introduce the Beast X, the successor of the Easton Z-CORE baseball bats! Easton has gone above and beyond expectations and delivered one of the best alloy designs of all-time. Advanced Thermal Alloy Construction, also known as ATAC alloy, is the backbone of this model and the reason behind its explosive sound, premium power, and invincible strength. With one of the most dominant aluminum barrels in baseball, the Beast X also comes with Easton's X-tended barrel design that is made up of the patented Z-CORE internal core technology to provide a massive sweet spot and one of the longest aluminum barrels in the business. On the other end, the ATAC alloy handle becomes an extension of the body due to unbelievable control and increased cushioning from the 1.4mm HYPERSKIN grip. The best part is the fact that you can swing with certainty knowing that every single Beast X is backed by a full one (1) year manufacturer's warranty. Easton: Fueled By Passion, Designed To Win! This 2018 Easton Beast X USA Baseball Bat (YBB18BX8) features a drop 8 length to weight ratio, a 2 5/8-inch barrel diameter, and a thin 29/32-inch handle diameter. With an end-loaded swing weight, this model is recommended for elite athletes with more power and strength. Swing for the fence with the Beast X and pick up one of these Easton USA baseball bats today with free shipping. Don't forget, we're here for you from click to hit! Pros: Excellent pop. My son used this against the Ghost and the ball flies off this bat.Has just as much pop if not more than the ghost for less money. Very satisfied and would highly recommend!!! 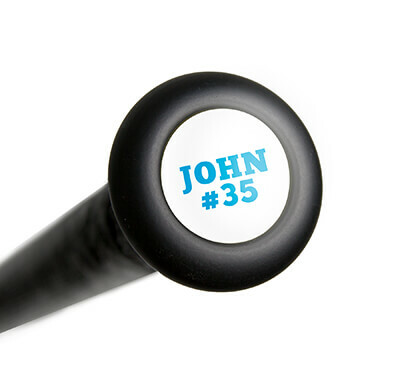 Pros: We have have the 31/23oz bat. Overall bat does not seem as end loaded...more balanced. Since it is a USA bat, you need to generate bat speed to drive the ball. We've used it for one month and the bat seems durable but the paint is chipping. Seems like good value for compared to the two piece bats. Cons: Not as end loaded as we would have liked. maybe the -5 is more end loaded, ..bat vibration if you don't hit it cleanly. Pros: Lots of pop. extremely durable, and overall a really good bat. Have a question about the 2018 Easton Beast X -8 USA Baseball Bat: YBB18BX8? Ask our team of experts and they will respond within 24 hours. My son is 12 yrs and has always used -10 length to weight ratio bats. Generally speaking, at what age should he begin transitioning to -8 (and eventually -5) length to weight ratio? We would generally recommend the 2018 Easton Beast X -8 USA Baseball Bat: YBB18BX8 for a 7th grader (13 year old) and moving to a -5 (14 year old) model when in 8th grade. My son coaches a Little League team. He doesn't like the Easton bats (as two of his kids had Easton bats and they broke). Do you stand behind your bats? All Easton bats (like this 2018 Easton Beast X -8 USA Baseball Bat: YBB18BX8) have a full 12 month manufacturer's warranty period. If the bat were to break on you within 12 months of the purchase date, you would be eligible to send the bat back to Easton for a warranty replacement bat. If your Easton bat was ordered from JustBats, we would assist you with directions for beginning the warranty replacement from Easton and would also get you a free UPS shipping label to send the bat to Easton in order to get the warranty replacement bat. 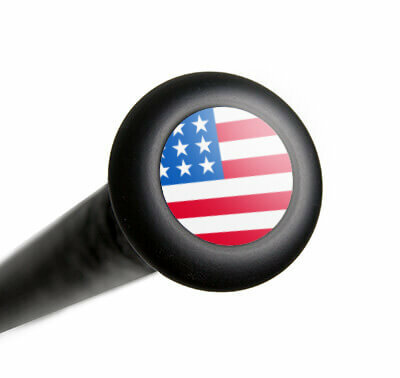 Is this bat stamped USA Baseball so it can be used in 2018 spring baseball? Yes, the 2018 Easton Beast X -8 USA Baseball Bat: YBB18BX8 features the USA Baseball certification. The 2018 Easton Beast X -8 USA Baseball Bat (YBB18BX8) does NOT feature the BBCOR certification. This model features the new USA Baseball (USABat) certification and is approved for play in AABC, Babe Ruth, Cal Ripken, Dixie Youth, Little League, and Pony. My son is 12 years old and has been successfully using the Combat Maxum -8 for travel/club baseball. It has a balanced swing weight. Are there any balanced-swing bats being sold in a -8 that are approved for Little League? I see that the Easton Beast X -8 and the Easton Ghost -8 are both end-weighted. We currently only carry three options that would be a balanced bat in -8 drop. They are the 2018 Easton S450 (YBB18S4508), the 2018 Rawlings Raptor (US8R8), and the 2018 Easton S550 (YBB18S5508). Can this bat be used in middle school baseball? Middle school leagues vary across the country. With that being said, the 2018 Easton Beast X -8 USA Baseball Bat: YBB18BX8 will be approved for all USA Baseball certified leagues. However, this will not be allowed to be used in any league requiring a BBCOR baseball bat. My son has been hitting a 32"/-10 but has grown quite a bit since last year. He is 12 yrs old, 5"7' and 165 lbs. Would this be a good option? We were also looking at the Axe Elite -5 and the Solo. We are open to anything. Yes, I think this bat would certainly be a good option since you will be eventually having to use BBCOR bats in high school, so transition models like a -8 or -5 are good options for player to start using eventually. All of the models you mentioned are great choices, and I think it comes down to personal preference on which one would perform better. What size bat do you recommend for a 13 year old. He's 90 pounds and 61 inches. First year in Babe Ruth. Looking at the Easton Beast X in a 31' 23oz. Wondering if it's the right size for him? I would recommend the 2018 Easton Beast X -8 USA Baseball Bat: YBB18BX8 in a 31" length. Typically, I recommend 7th graders to swing a -8 and 8th graders to swing a -5. This allows for a smooth transition into the high school -3 BBCOR bats. I would recommend the 2018 Easton Beast X -5 USA Baseball Bat: YBB18BX5 if you decide to swing a -5. I am looking for a -8 for my son 12 yr old, 5, 2" Would you recommend this bat or the anderson techzilla? The Anderson Techzilla we have would be a -9, so if you're wanting a -8 bat for your player, I would suggest the 2018 Easton Beast X -8 USA Baseball Bat: YBB18BX8.